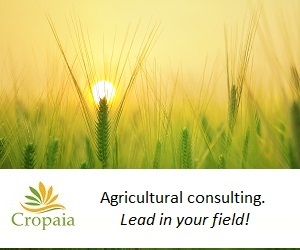 The measurement of soil Electrical Conductivity (EC) is widely used in agriculture. However, there is still confusion around the meaning of the readings and their application in precision agriculture. In fact, ‘Soil EC’ may refer to different types, or methods, of EC readings, each with its own significance. This article will explore the meaning of the different EC measurements and evaluate their applicability for precision agriculture. The electrical conductivity is the ability of a material to transmit electrical current. The question is, therefore, which medium is being measured and how can the reading be interpreted and used? The most commonly used EC measurement in precision agriculture is the soil bulk EC, or soil apparent EC (ECa). This soil electrical conductivity measurement correlates with various soil properties, such as soil texture and water holding capacity. Sandy soils will have a lower EC reading than clay soils. 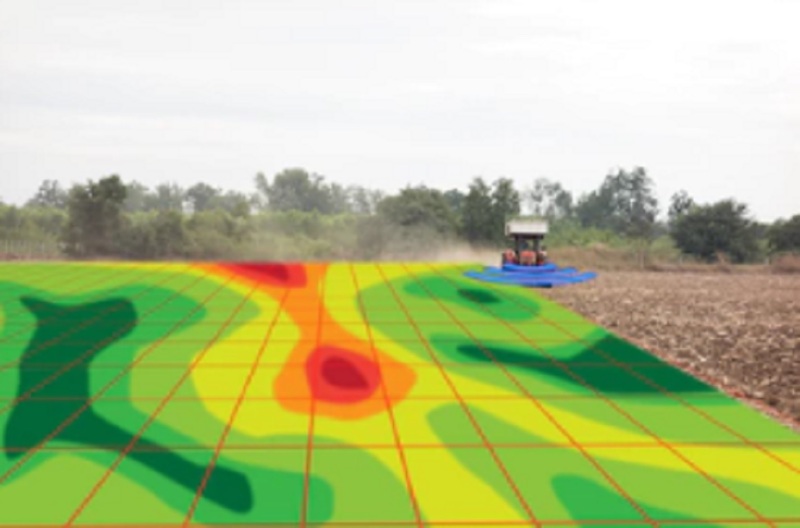 Mapping ECa within a field provides additional information on the soil variability within that field and on year-to-year trends, such as salinization and compaction of the soil. Such information can aid in deciding on variable rates of herbicides and nitrogen fertilizer, as their application efficiency depend on soil texture. For instance, a split application of nitrogen may be required in light-textured soils. If correlated with yield maps, ECa can also give an idea on the nitrogen rate to apply, although such correlation does not always exist, and many additional agronomical considerations must be taken into consideration. ECa is, therefore, one more tool that can be used to better understand soil variability in the field. However, it cannot replace traditional soil testing. 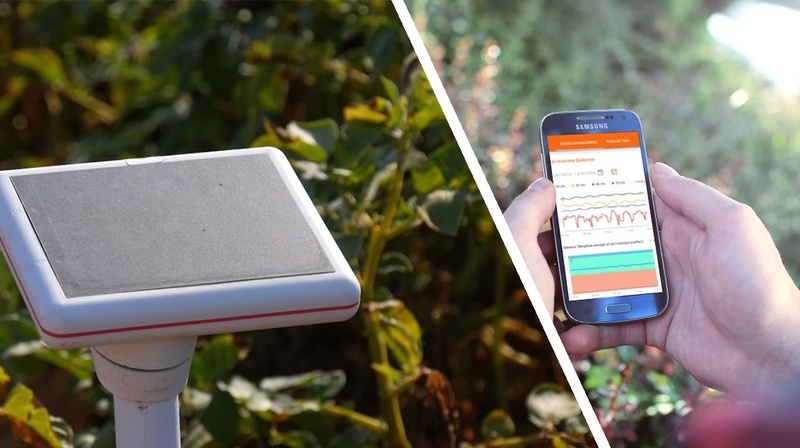 The Multi-sensor does not read real-time soil moisture, but also evapotranspiration, air temperature, relative humidty and radiation. Other methods to evaluate electrical conductivity of soil focus on measuring the EC of the soil-solution, hence its salinity. The difference between these methods is mainly the moisture state of the soil. The electrical conductivity of the soil-solution changes continuously, depending on the moisture content of the soil. Therefore, for standardization, all EC measurements must be taken at the same moisture content. The most acceptable moisture content is the moisture of ‘saturated paste’, also referred to as ‘EC of the saturated paste extract’. Most references in the literature, such as tolerance to salinity of different crops, relate to the EC of the saturated extract, denoted as ECe. ECe gives an indication of the soil salt content. It can be used to estimate whether there is excess of salts in the soil. However, it does not imply exactly which salts and nutrients are present. Unlike the apparent electrical conductivity of the soil, ECe cannot be measured directly in the field using sensors, and it must be measured at the laboratory. There are, though, mathematical models that attempt to correlate between ECa and ECe. To summarize, EC sensors in precision agriculture are a valuable tool for better understanding variability and trends in the soil. This is especially true for soil EC mapping and to a much lesser extent to stationary single soil sensors. However, precise fertilization management is a complex process, that takes into consideration multiple variables and parameters, well beyond EC alone.